I felt this year I was a little behind on decorating but who says just because Christmas is on Sunday that lots of Holiday decor cannot still be enjoyed. 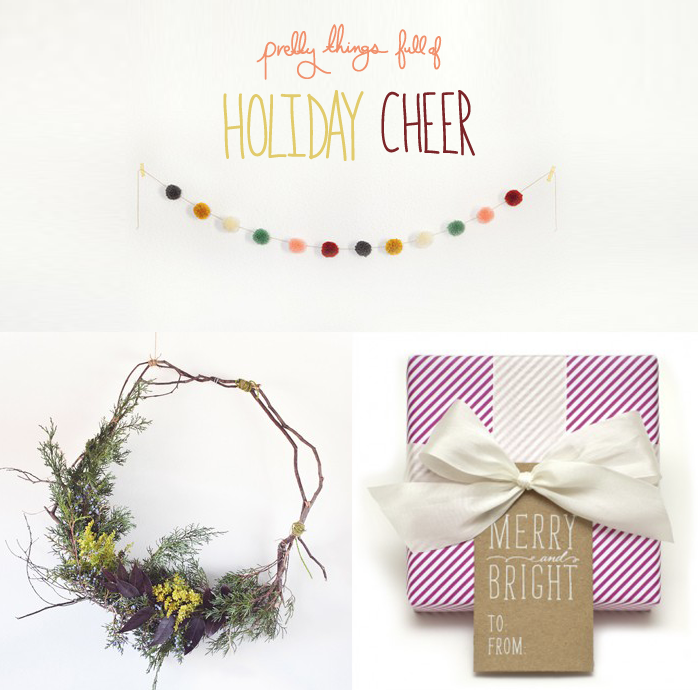 A pretty winter wreath like this one from Kinfolk Mag or the sweet little pom pom strands from Depeapa. They are things that can last you even into the melting of the snow. I love these ideas and really want to make a similar wreath after christmas with some of the pine boughs still in the garage. So lovely and simple.